A valid prescription will be required. Get flat 15% off on your 1st order regardless of the payment method. Bank discounts or any other discount vouchers won't be applicable. Please note that the pharmaceutical products/medicines will be dispensed by one of our trusted hospitals/pharmacies partners. 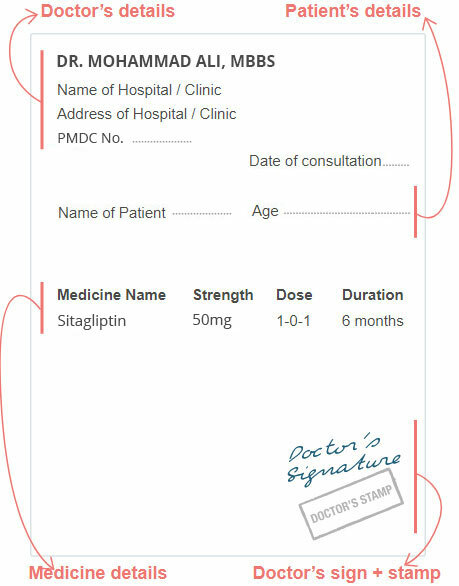 How to Upload your Prescription? Do not crop out any part of the prescription image. Avoid unclear or blurred image of your prescription. Include details of your doctor, patient and clinic visit date. Medicines will only be dispensed against a valid prescription.